I went home with my new friend today, hooray!! He loves me because I am so big and calm and gentle. 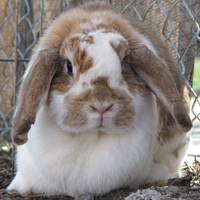 I am a BIG French Lop girl and am friendly and playful. I love to lounge in a litterbox and love to run around and explore.